Arnold Schwarzenegger was born on July 30, 1947, near Graz, Austria. He rose to fame as the world's top bodybuilder, launching a career that would make him a giant Hollywood star. After years of blockbuster movie roles, Schwarzenegger went into politics, becoming governor of California in 2003. In 2012, he returned to his acting career, starring with Jean-Claude Van Damme, Bruce Willis and Sylvester Stallone in the film The Expendables 2. Within just one week, the movie had climbed to the No. 1 spot at the box office, bringing in nearly $28.6 million. Arnold Schwarzenegger was born on July 30, 1947, near Graz, Austria. Schwarzenegger's childhood was far from ideal. His father, Gustav, was an alcoholic police chief and one-time member of the Nazi Party, who clearly favored Arnold's brother over his gangly, seemingly less athletic younger son. Gustav is reported to have beaten and intimidated Arnold and, when he could, pitted his two boys against one another. He also ridiculed Schwarzenegger's early dreams of becoming a body builder. "It was a very uptight feeling at home," Schwarzenegger later recalled. So uptight and uncomfortable, in fact, that Schwarzenegger would later refuse to attend the funeral of his father, who died in 1972, or his brother, who was killed in a car crash in 1971. As an escape, Arnold turned to the movies, in particular Reg Parker, a body builder and star in B-level Hercules movies. The films also helped propel Schwarzenegger's own obsession with America, and the future he felt awaited him there. Getting to his new country was the issue. Schwarzenegger found his answer in Joe Weider, the man behind the International Federation of Body Building, an organization that sponsored contests such Mr. Universe and Mr. Olympia. Weider loved Schwarzenegger's bravado, sense of humor, and the potential he saw in the young body builder. Weider's instincts couldn't have been more dead-on. In all, Schwarzenegger would win an unprecedented five Mr. Universe titles and six Mr. Olympia crowns during his bodybuilding career. Equally significant, Schwarzenegger, who had immigrated to the United States in 1968, helped propel the sport into the mainstream, culminating in the 1977 documentary, Pumping Iron, which tells the tale of Schwarzenegger's defense of his Mr. Olympia crown. Since his first foray to the local movie house in his hometown of Graz, Arnold had dreamed of making it big in Hollywood. With his ascension to the top of the bodybuilding world, it was only a matter of time before he'd move over to the big screen. After acting in a few small parts, Schwarzenegger received a Golden Globe Award for Best Newcomer for his performance in Stay Hungry (1976). With his intense physical strength and size, Schwarzenegger was a natural for action films. He became a leading figure in several popular 1980s action movies, including Conan the Barbarian (1982). Schwarzenegger also starred as a deadly machine from the future in The Terminator (1984). The science-fiction drama spawned two sequels—Terminator 2: Judgment Day (1991) and Terminator 3: Rise of the Machines (2003). Off-screen he continued his remarkable story, marrying into the Kennedy family by tying the knot with Maria Owings Shriver, daughter of Eunice Kennedy Shriver and her husband R. Sargent Shriver. Schwarzenegger's American story sounded improbable, except to those who knew him. "This is a man of bottomless ambition," said George Butler, producer and director of Pumping Iron, in a 2003 interview. "It's always been there ... He sees himself as mystically sent to America." In 2003, Schwarzenegger again showed his resolve to succeed when he threw his hat into the ring for the California governor's race and won a seat in a special election. In a state that was mired in severe budget woes, the newly elected Republican governor promised to bring economic stability to his adopted state. As expected, Schwarzenegger brought his own unique brand of confidence to his new job. "If they don't have the guts, I call them 'girlie-men,'" he said of Democrats, early in his first term. "They should go back to the table and fix the budget." Still, as governor, Schwarzenegger worked to improve the state's financial situation, promote new businesses, and protect the environment. In 2006, he easily won his bid for re-election. Throughout his career, Schwarzenegger has credited former U.S. President Ronald Reagan as a personal inspiration. Remembering his early years in the United States, Schwarzenegger once said, "I became a citizen of the United States when [Reagan] was president, and he is the first president I voted for as an American citizen. He inspired me and made me even prouder to be a new American." His second term in office did not run as smoothly, however. Schwarzenegger struggled to help the state through difficult financial times. After leaving office in January 2011, he sought to revive his career in the entertainment industry. In March of that year, Schwarzenegger announced plans to work with famed comic book creator Stan Lee on a new animated series inspired by his time in office. Only a few months after leaving office, Schwarzenegger made another announcement. He and Maria Shriver made their decision to separate public in May. The news followed Schwarzenegger's acknowledgement that he'd fathered a baby with a member of the family's household staff. Schwarzenegger and Shriver have four children: Katherine, Christina, Patrick, and Christopher. In 2010, Schwarzenegger starred alongside Jean-Claude Van Damme, Bruce Willis and Sylvester Stallone in the film The Expendables. In August 2012, he reunited with the film's cast for a follow-up film, The Expendables 2. Just one week after the film's premiere, it had climbed to the No. 1 spot at the box office, bringing in nearly $28.6 million. 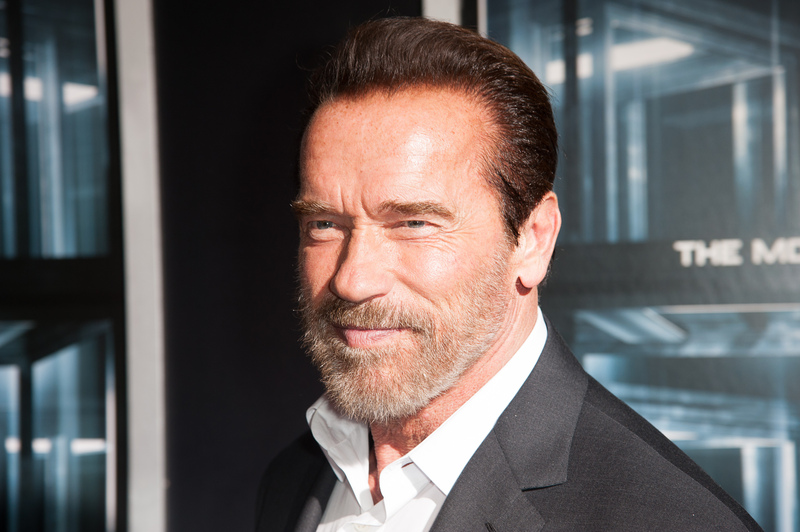 Schwarzenegger made headlines again later in 2012, when he admitted for the first time to having an affair with his Red Sonja co-star, actress Brigitte Nielsen, in the mid-1980s—while he was dating and living with Maria Shriver, whom he later married. Nielsen had written about the adulterous relationship in her 2011 memoir, You Only Get One Life, but Schwarzenegger didn't publicly confirm Nielsen's account until the fall of 2012, when his memoir, Total Recall, was published. Born in New York in 1971, actress Tichina Arnold was well known for her role as Pam James, opposite Martin Lawrence, on the sitcom Martin. After Martin, Arnold made guest appearances on The Jaime Foxx Show and Soul Food. In 2005, she landed a starring role as Rochelle, a tough mom of three, on Everybody Hates Chris. In addition to acting, she ran a company called China Moon Rags, making bejeweled bandannas. Tichina Rolanda Arnold was born on June 28, 1971, in Queens, New York. A veteran performer of stage, film and television, Arnold may be best known for her comedic roles as Pam James on the sitcom Martin, and Rochelle Rock, one of television's toughest mothers, on Everybody Hates Chris. Attending Fiorello H. LaGuardia High School of Music & Art and Performing Arts in New York City, Arnold began acting at an early age. In 1986, while still in her teens, she made her New York film debut in Little Shop of Horrors. From there, she worked on two soap operas: Ryan's Hope (1987-89) and All My Children (1989-90). Making the move to primetime in 1992, Tichina Arnold landed a supporting role on the sitcom Martin, a showcase for stand-up comedian Martin Lawrence. She played Pam James, a friend of Gina Waters (played by Tisha Campbell), on the series; Lawrence played radio talk show host Martin Payne, who was dating Waters. The show lasted for five seasons. After Martin, Arnold made guest appearances on The Jaime Foxx Show, Norm and Soul Food among others. She also had roles in several films, including Big Momma's House (2000), which reunited her with Lawrence. In 2001, Arnold began a recurring role on the sitcom One on One as Nicole Barnes, the ex-wife of the lead character Mark "Flex" Washington played by Flex Alexander. On Everybody Hates Chris, which debuted in 2005, Arnold landed another starring role. The popular family sitcom was created by comedian Chris Rock, who drew from his own experiences growing up as an African-American kid living in a rough neighborhood who was bussed to an all-white school in the 1980s. The role of Chris Rock was played by Tyler William James and the comedian himself provided the voice over for the series. Tichina Arnold played the bossy, strict Rochelle Rock, mother of three and wife of Julius, played by Terry Crews. Despite her somewhat prickly nature, Arnold kept the family going in face of financial difficulty and a hostile living environment as Rochelle. Arnold won a NAACP Image Award for her work on the series in 2005. The show chronicling the life of a young Chris Rock ended in 2009. Arnold has since found work on yet another sitcom as Judi Mann, the friend of lead actress Fran Drescher, on the series Happily Divorced (2011). In addition to acting, Arnold operates a company called China Moon Rags, which makes and sells bejeweled bandannas. A resident of Los Angeles, she has a daughter named Alijah Kai.